Looking for a great tech conference or an outstanding local meetup? Try our mobile application today. It's free! Discover best tech conferences and local meetups around the world. Best events featured weekly. 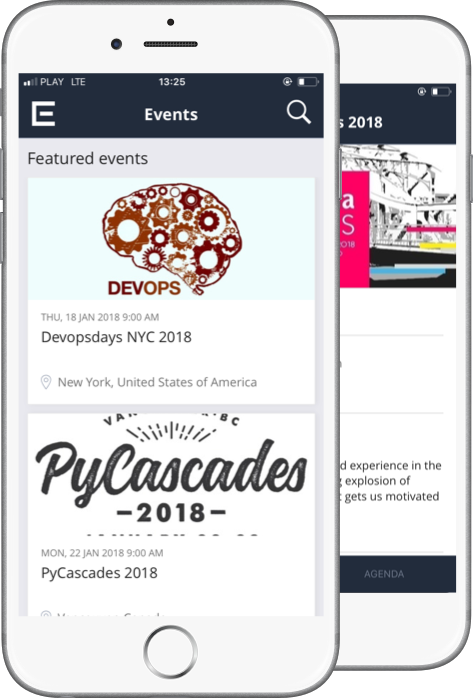 Check event schedule on the go directly in the mobile app. Bookmark your favourite presentations. Check speaker details. Our engine extracts topics from events and presentations. They are put in groups by popularity for your convenience. 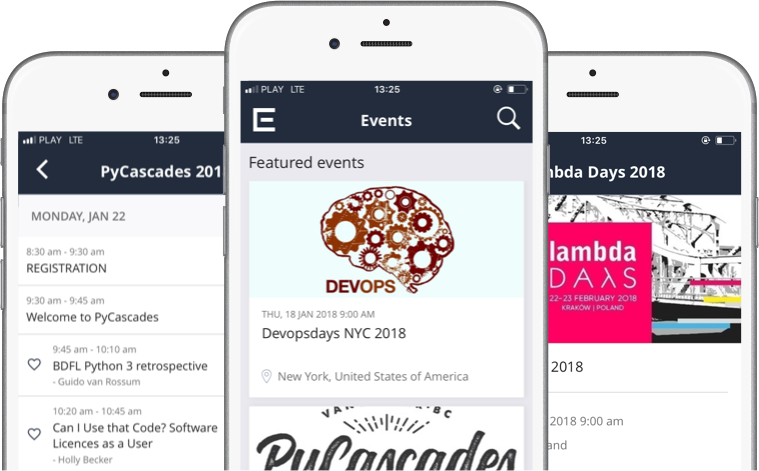 Events are grouped by cities. It allows you to discover interesting events in a particular area. City filtering is used to propose related events.